During the night hours of July 9 and early morning of July 10, 1941 — today in aviation history — a stream of German Luftwaffe night bombers were carefully picking their way to the east of the English coast, flying over the North Sea and intending to turn west toward the city of York. As usual, they flew at extremely low altitude, hoping to avoid detection by the network of RAF coastal radar sites. 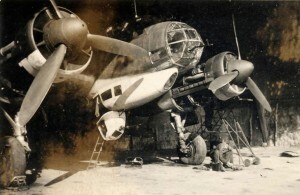 Without landmarks, the German bomber crews relied on a series of radar beacons that were designed to guide them toward low altitude entry points along England’s shores. Once inland and past the coastal radar coverage system, the German bombers could climb to altitude and proceed toward their targets. On this night, however, the British had employed a new and deadly strategy to combat the threat posed by the German night bombers. Rather than strictly utilizing anti-aircraft fire or night interceptors, this new strategy was revolutionary because it was entirely electronic. It was called Meacon. 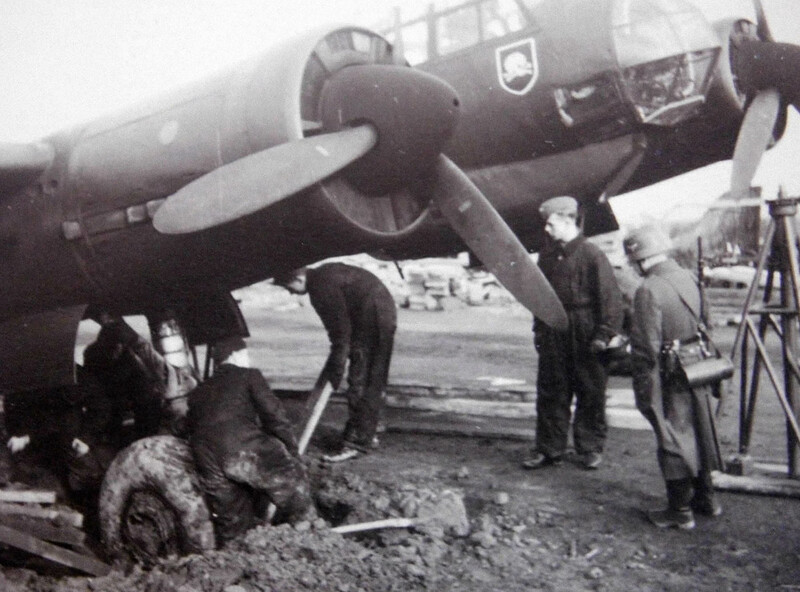 A Junkers Ju 88 with 2./KGr 106 is dug out of the mud after a flight, somewhere in France, c.1941. In the darkness of the night, with great care, the Luftwaffe navigators tuned in onto frequencies of specially aligned and directed tracking beams which kept them in line toward their desired entry points. Based on the selected target for that night, they would fly along beams that were pointed narrowly north along England’s eastern coast. Following the center of the beam, the pilots could ensure that crossing winds could be corrected to allow them to stay on course. Finally, relying on a crossing beam from a station in Norway, they would reach their turn point and fly west toward England’s coast and blacked-out cities beyond. Based on their beam system, usually the German crews could fly with confidence while they watched for any sign of the English coastline, timing the approach and knowing precisely where and when they would cross the shoreline. Then, based on the system they were using, a crossing signal would be tuned in on their navigation system to triangulate a position precisely where they were to drop their bombs. Finally, they would fly along another beam to return to their bases and land. German Junkers Ju 88 night bombers of 1./KGr 506, another of the units assigned to bombing Britain during 1941 and 1942. Since 1940, the British had become cagey and determined in their defenses against the night bombers. They had blacked out cities. They had erected patterns of lights in the countryside that were designed to lure unwary Luftwaffe crews into thinking that they were over a semi-blacked out city, such as London, York or Portsmouth, hoping to mislead and cause the Germans to drop their bombs into empty farm fields. By 1941, night fighters were also employed to hunt the German bombers. New inland mobile radar stations were established to control the aircraft crews and guide them to individual targets. The night skies had become a deadly game of cat and mouse. A rare color photo of a Luftwaffe Junkers Ju 88A night bomber at Creil Airfied in occupied France during 1941. Meacon was a revolutionary new approach to combating the night bomber offensive. It relied on trickery by mimicking the German’s own navigational beam system in hopes of misguiding the Luftwaffe bombers to ensure that they dropped their bombs away from population centers. 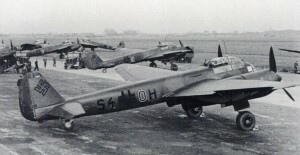 On the night of July 9, 1940, a variation on the new Meacon central tactic was employed — based on the approach of that night’s raids, the British controllers of the Meacon system chose to direct the incoming Luftwaffe planes along a path that was further west of their intended northerly route over the North Sea. If it worked, the bombers would unwitting fly over the cliffs and highlands along the country’s eastern coast and, due to their extremely low altitudes, would crash into the terrain. As such, Meacon became a new and deadly type of warfare, one where enemy planes could theoretically destroyed by electronics alone. That night, the pilots and aircrews of Kampfgeschwader 106 flew unwittingly into this new trap laid out by the Meacon controllers. Many of them recognized the trickery and maintained course over the water. As fog and mist concealed the coastal highlands, three of the Junkers Ju 88A night bombers, however, were misled. At 11:48 pm, the first of the three was drawn west of course and crashed into the hills near Speeton, not far from Bridlington. The crash was catastrophic, killing the entire crew and destroying the aircraft. Just 18 minutes later at 12:06 am, a second Ju 88A night bomber hit the cliffs at Cliff Farm in Staithes, Yorkshire. Once again, the entire crew were killed and the plane destroyed. A Luftwaffe night bomber crew and their Junkers Ju 88 prepare for a mission. 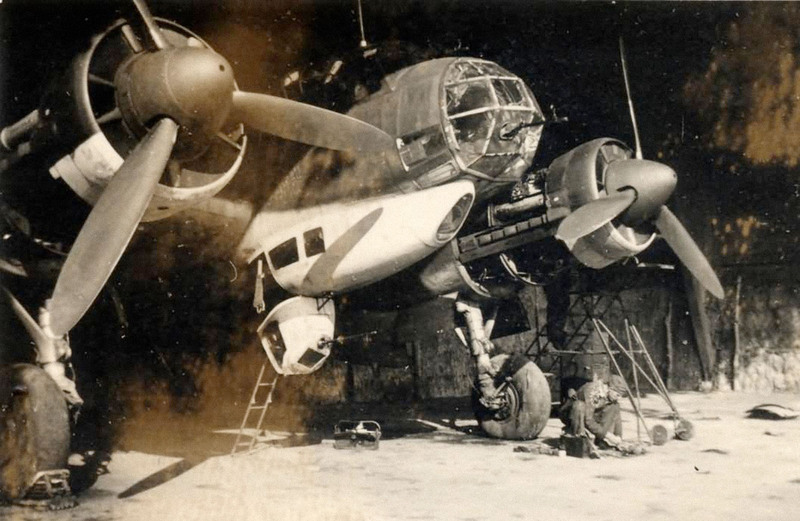 Over an hour later at 1:20 am, a third Ju 88A night bomber emerged from the mist to find itself skimming the hills at Speeton — in the same area as the first had crashed. This time, however, the bomber collided with slowly rising terrain and, unwillingly, performed a perfect belly landing on the fields. 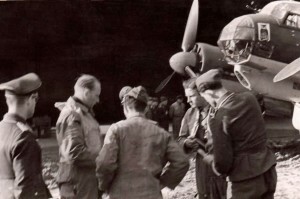 Incredibly, the crew emerged from the crashed Ju 88A alive. Quickly, they destroyed key equipment and papers from the bomber. Then, without delay, they set fire to the plane. Shortly thereafter, not far from their crash site, the downed airmen were captured. Though the night of July 9/10 was extraordinarily promising, it did not take long for the Germans to realize that they were being misdirected. Soon countermeasures were employed and new radio guidance systems were put into development. Crews more carefully relied on dead reckoning and time/speed/distance navigation to double-check their positions. It was the beginning of a series of electronics moves and counter-moves that formed the world’s truly electronic battlefield. The techniques and principles of Meacon, while they were quickly superseded by newer German tactics, systems and equipment, formed the foundation of modern electronic warfare strategies and tactics, methods that are still in use today with jamming, spoofing and electronic interference. 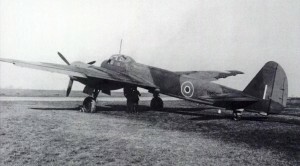 The captured Ju 88A-5 that was successfully brought down to a safe landing at Chivenor by Meacon in November 1941, here shown in its RAF markings during or after the completion of its test flights. Yet before Meacon would be overtaken by newer systems, it would score a few more victories. 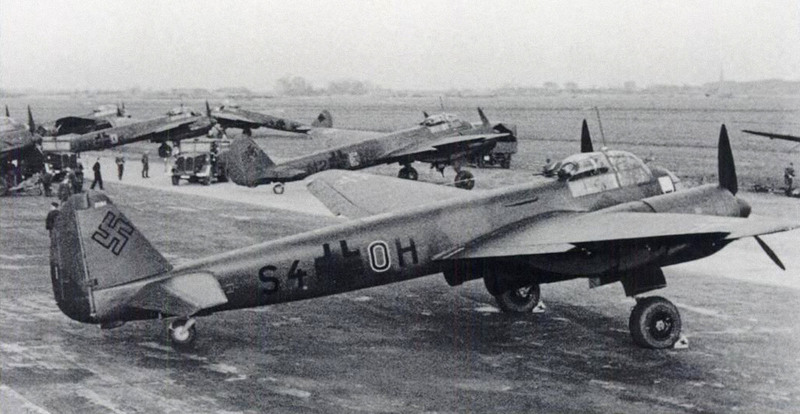 Just 14 days later, two Ju 88 night bombers of I./KG 30 were thoroughly confused and misdirected by British Meacon beams. One, thinking that it had recrossed the English Channel to its base in France, was led to unwittingly land at RAF Weston-super-Mare instead, whereupon they were taken prisoner and their aircraft captured. Its equipment was sent for evaluation and testing, revealing what new systems the Germans were employing. While new tactics and training countered the effects of Meacon to a great extent thereafter, finally on November 26, 1941, another Ju 88A-5 of II./KG 106 (M2+MK, Wk-Nr 6073) was led to land at RAF Chivenor, Devon, England, after a flight over the Irish Sea. The plane was subsequently turned over to fly with RAF No 1426 (Enemy Aircraft Circus) Flight for testing and training purposes. Looking back today, we recognize Meacon as a revolutionary new system, not only in its conception but in its tactical implementation. Over the next four years, the electronic warfare practiced over England, France and Germany would grow steadily more complex and deadly. It was a battle fought less in the cockpit and more in the secret offices of each country’s radio and electronics experts, as they played a chess game where the stakes meant life and death. Finally, when Meacon was retired, its memory was retained in the term “Meaconing”, which means to mislead an aircraft through redirecting, rebroadcasting or perverting navigational signals. 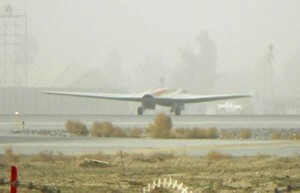 An RQ-170 Sentinel reconnaissance aircraft taxies out for take off; to this day, the Iranians claim to have successfully “Meaconed” the Sentinel into landing within their territory. Even to this day, “Meaconing” is used. 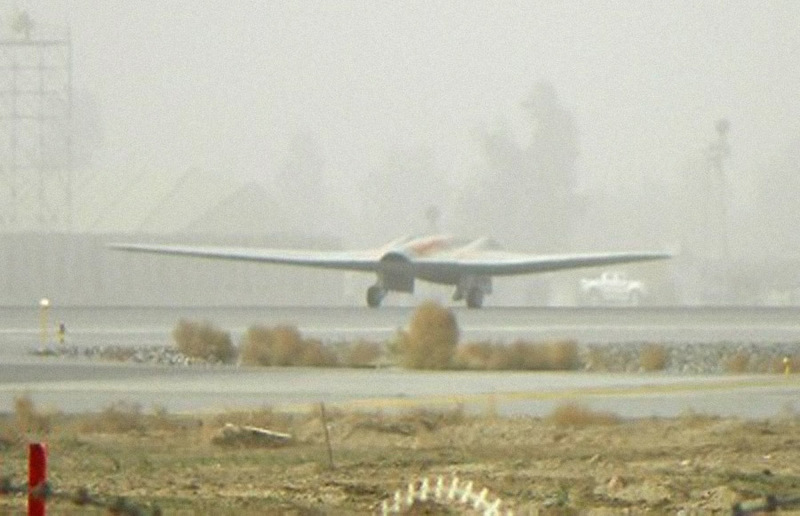 In fact, the most recent victim of the practice, if one is to believe the state-controlled Iranian media, was the CIA’s super secret RQ-170 Sentinel remotely piloted reconnaissance system, which was lost on or about December 4/5, 2011 — but that is another story. An Engagement for King George — read about one deadly night engagement and advent of inland, mobile radar stations in England. Here is a good page with several photos of Meacon and some of the aircraft downed.